How did it get to be Friday so quickly? Or for that matter, where did August come from? Surely didn't see that coming! 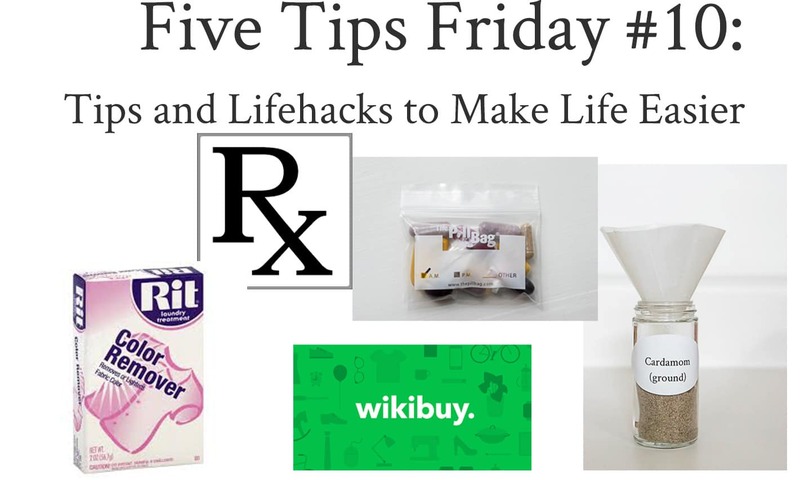 For you regular Nourish and Nestlers, you know that the first Friday of every month is our Five Tips Friday feature, a short post all about Tips and Lifehacks to Make Life Easier, a little more organized and maybe with a few more $$$ in your pocket. So, if you have a hack that makes life easier, is a less expensive way to do something or saves you money…bring it! This first Tip comes from one of our readers. Lesley makes a cone of wax paper that she uses to transfer her bulk spices to the smaller jar! Ugh…why didn't I think of that?! I'm embarrassed to admit that I have scoured the internet for a small funnel with a wide opening to do the very same thing. Thanks Lesley…maybe I need to let you write this posts…your ideas are so great! This second tip is actually one I learned from my baby brother (hee hee…had to throw that in). He travels quite a bit and found these little pill pouches ever so helpful to keep his medications on schedule. I just got some for my parents, who still travel quite a bit, and they are going to be invaluable to them. There are several online, but these are a little thicker, making it easier to write on them and can actually be reused. If you are looking for additional Organized Travel tips, make sure to pop over here. The third tip I have to share arose after I decided it was a good idea to wash my son's size-14 black canvas tennis shoes with my lovely beige linen dress…and not only did I wash them together, it was one of those times when I didn't get the stuff out of the washer for several hours after it was done…so it sat there just bleeding black ink all over my dress. Yeah, don't even ask what I was thinking…obviously not much. But…the good news...and this is where you are very lucky to have me do the dumb stuff first so I can tell you how to fix it if by chance you do dumb stuff too...it can be remedied! I figured I had nothing to lose, so bought a pack of Rit Color Remover from my grocery store. I wasn't sure if it would take the black out and what it would do to the color of the dress, but I was pleasantly surprised. Not only did it remove the black dye, but left the beige of my dress untouched! Score 1 for Rit! If you have more than 1 prescription to fill on a regular basis or if you have several family members needing prescriptions, then this tip is for you. Between my husband and I, we have 4 prescriptions that we take daily. Not only do I get 90-day refills, but by working with my pharmacist, I was able to get it so that they are refilled at the same time, necessitating only a once every 3 months trip to the pharmacy! To get it figured out, you may need to pop in once or twice in advance, but for a little work up front, you limit your trips to the pharmacy over the long term. In our case I just had them give us a 15-day refill for one of our meds, and then 15 days later went back and refilled all 4 meds! This last tip is an extension I put on my Google Chrome recently, but find very helpful. It's called Wikibuy and it will tell you if the price of an item you are looking at purchasing online is cheaper somewhere else or if you have the lowest price. For those of us who shop at Amazon and have Prime membership, it takes into account the free shipping as a result of the Prime membership. I reuse one made from the neck and mouth of a small one use water bottle cut off with a scissor. 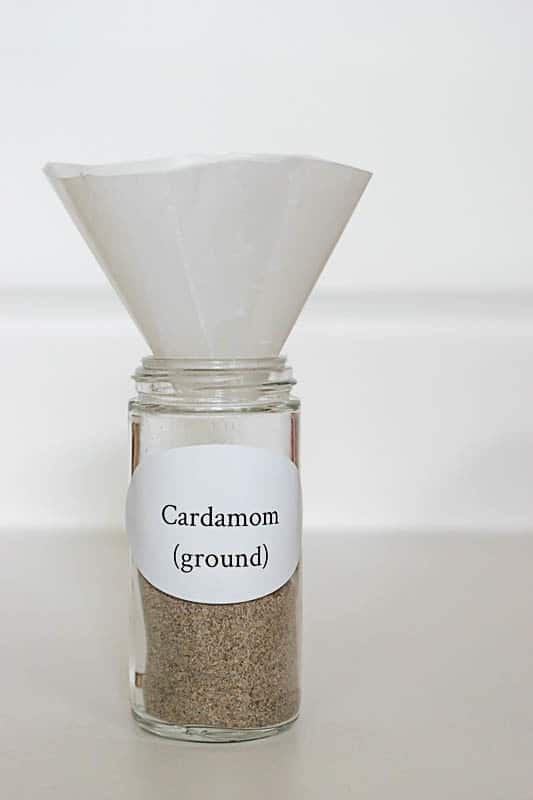 It fits into my small spice bottles that I refill from larger pouches of spices I buy in order to save money. That’s perfect Hope! I love that idea. Definitely going to use that idea in my home and share it with the rest of our readers. Thanks for sharing my friend.